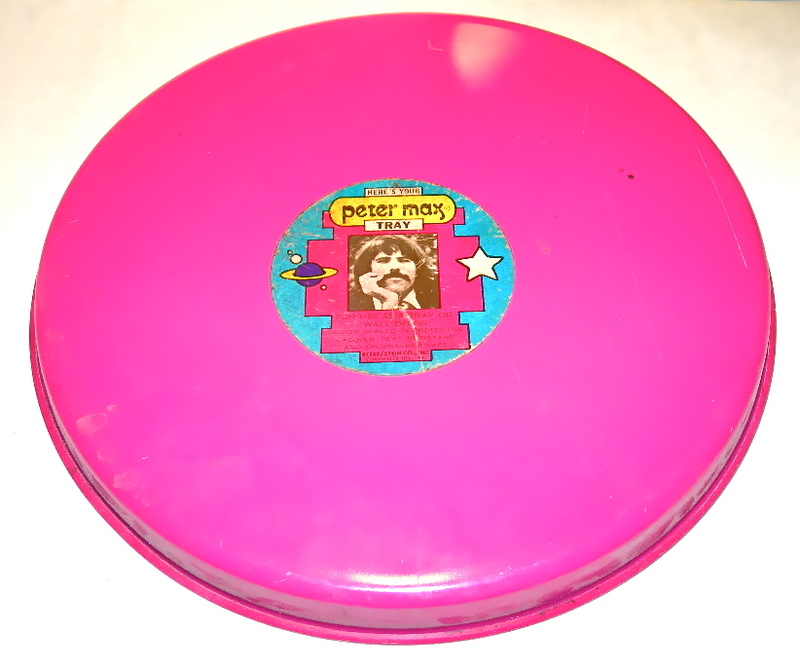 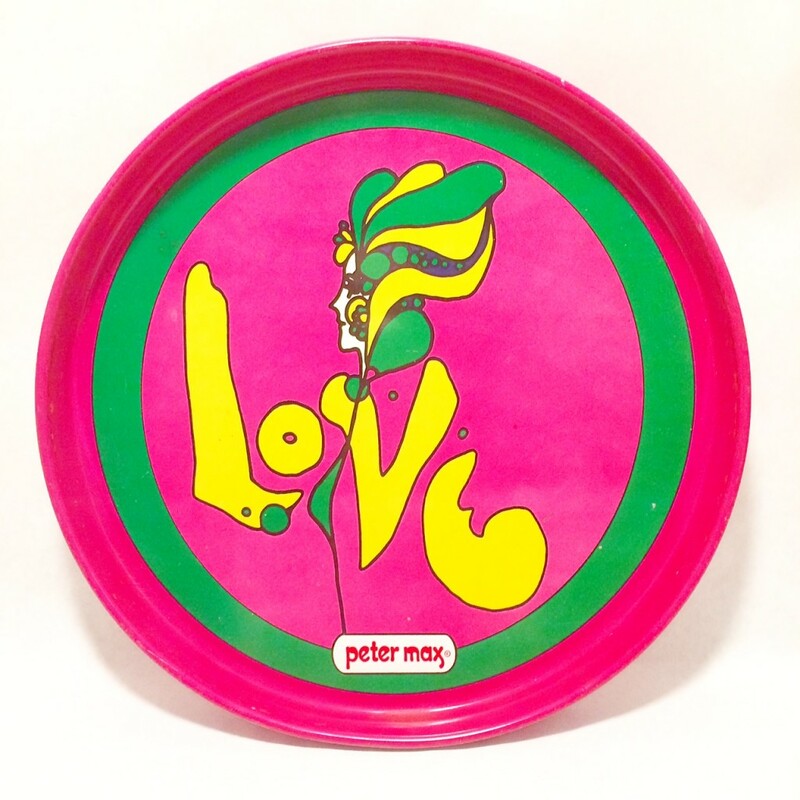 These are original Peter Max designs from the 1960s, HAPPY, LOVE, SMILE, two of which have the original Peter max sticker on the back that says “Here’s your Peter Max tray. 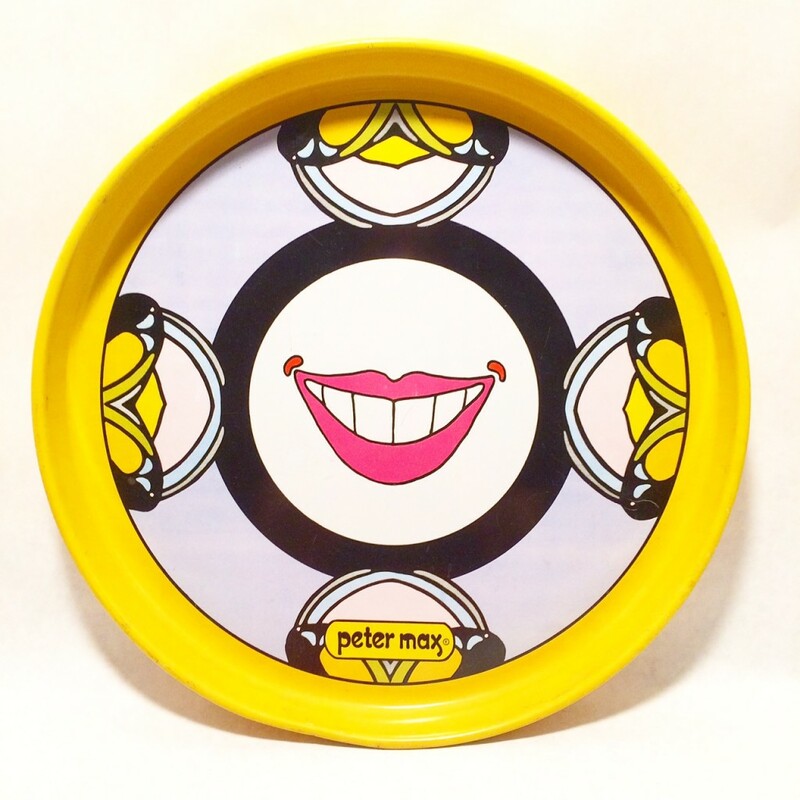 For use as a tray or wall decor. 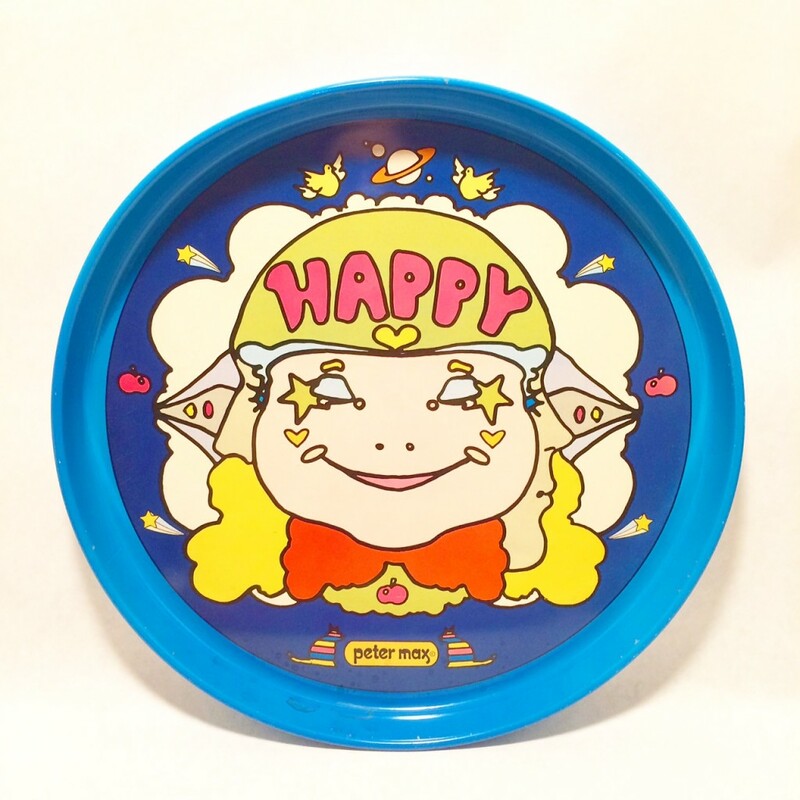 Design sealed in protective lacquer–heat resistant and dishwasher safe.” They are all in very good condition with very minor wear, barely noticeable, and each measures 13″ in diameter.